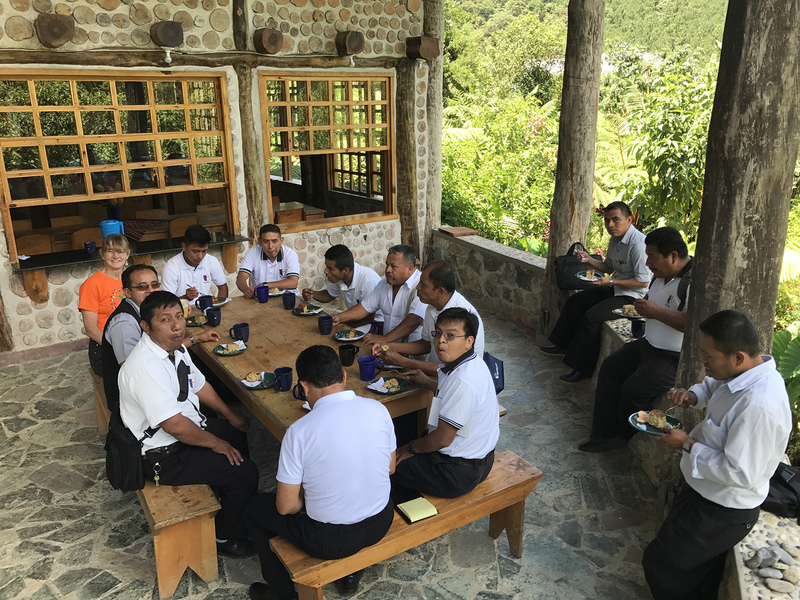 Teachers and staff from Don Bosco Secondary Schools in Carcha’ and Chamelco visited CCFC on September 5th. These campuses are seeking to establish sustainable agricultural programs. 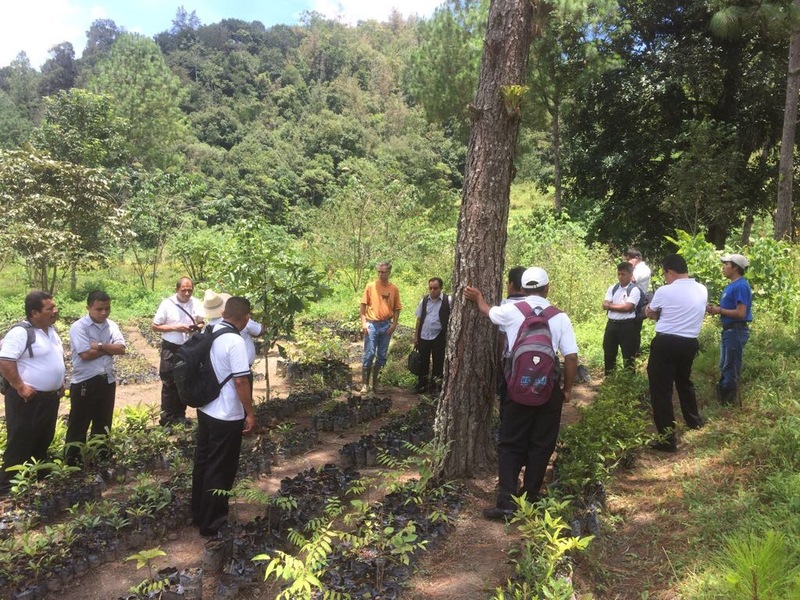 Over the past ten years, Don Bosco students have participated in CCFC’s environmental education workshops and tree planting. 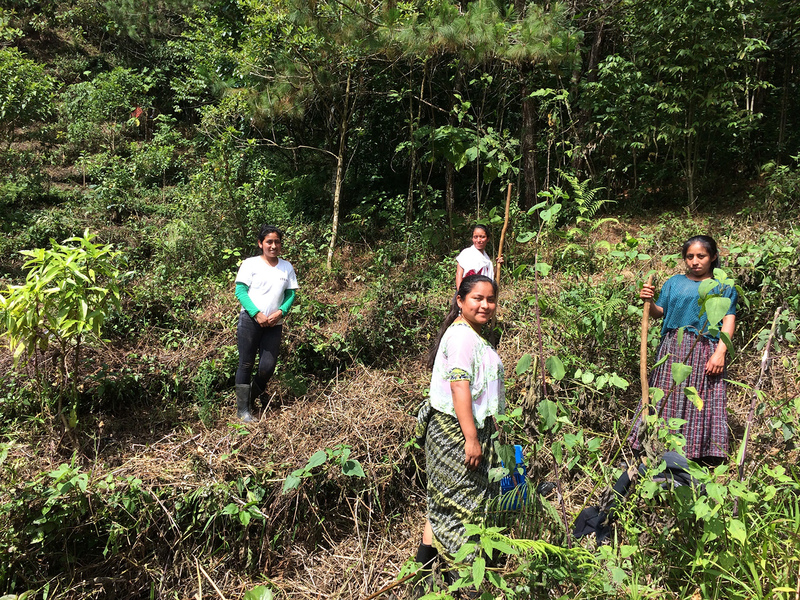 Thanks to the Bobolink Foundation, Virginia Society of Ornithology, KAKAO International and local schools, CCFC’s reforestation program took a major step forward in the late summer of 2017. 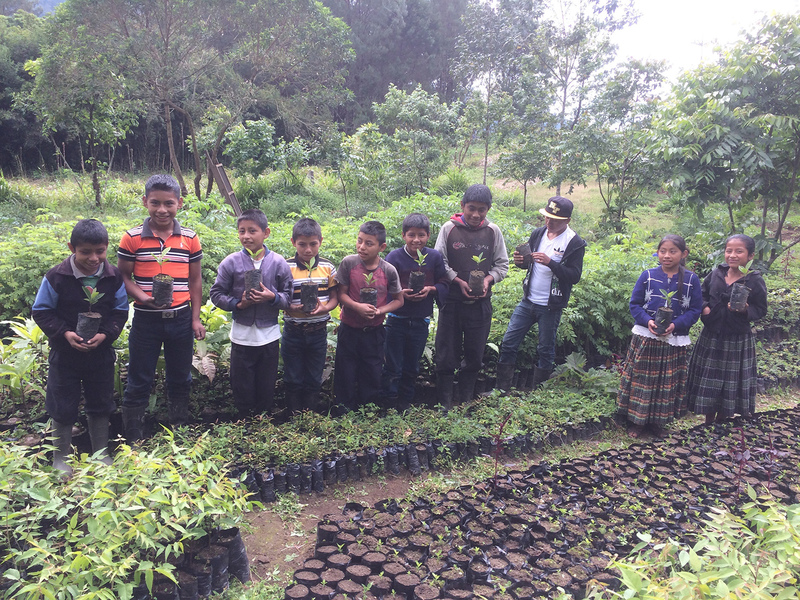 For CCFC, reforestation is much more than just planting trees. 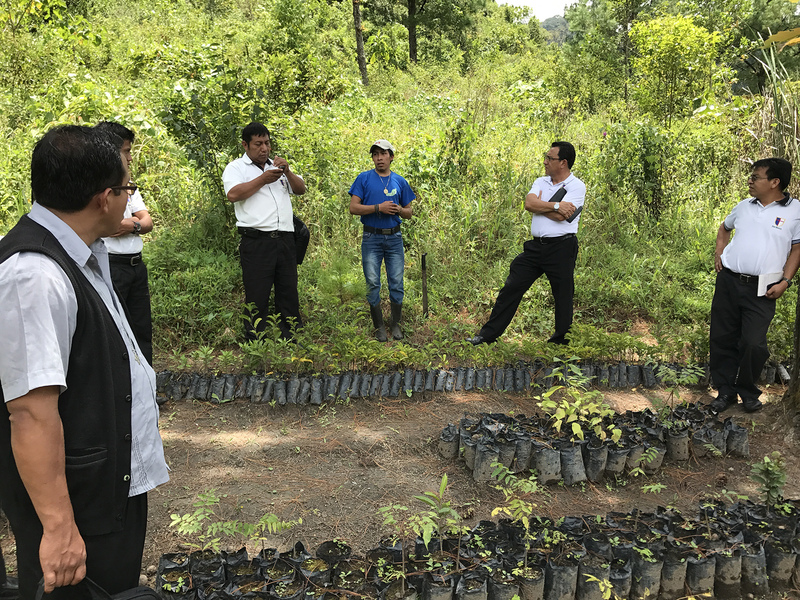 Reforestation means restoring forests on illegally deforested land. 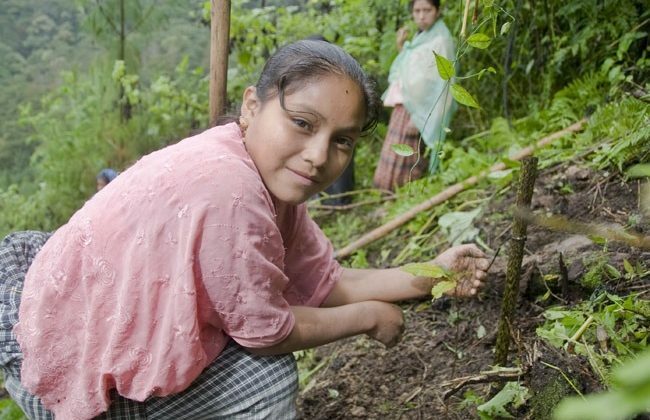 Reforestation is restoring degraded habitat with native tree species. 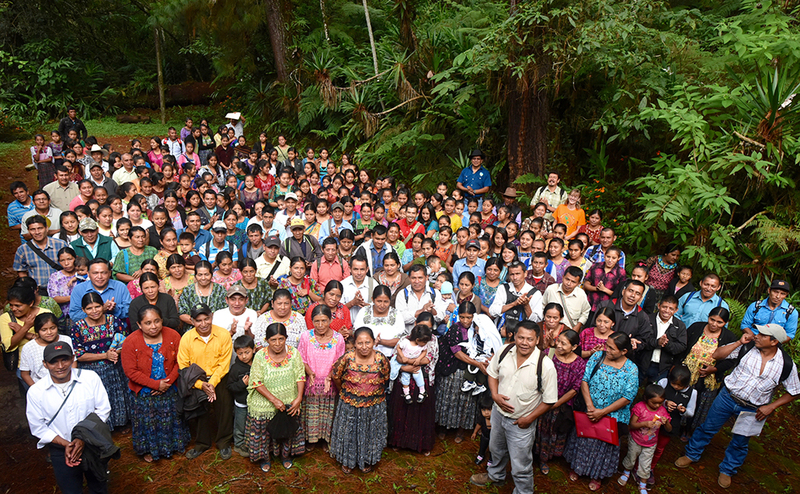 ITERN, the Institute of Natural Resources in San Juan Chamelco, which is CCFC’s local partner, held several tree planting days. 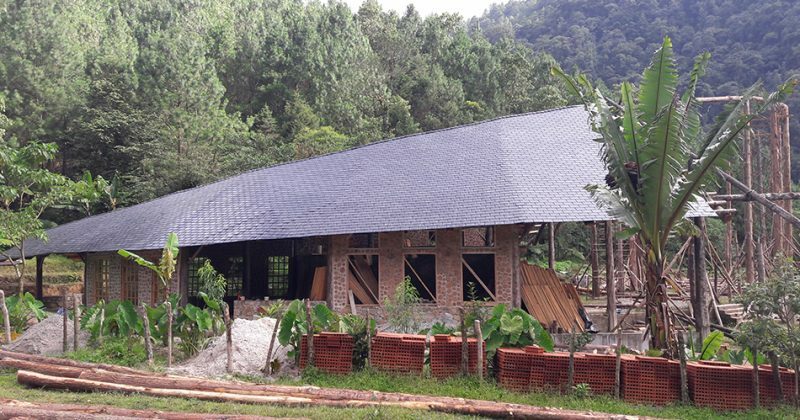 Reforested areas include cloud forest and pine oak tree communities. These restoration parcels quickly become usable habitat for endemic and migratory birds, such as Ocellated Quail, Golden-cheeked Warbler, Golden-winged Warbler and other species of special conservation concern. Primary school children help out with tree planting as a part of CCFC’s Kids & Birds program. In preparation for a major influx of new students, CCFC is moving full steam ahead to get the dining area, kitchen and parts of the dormitory ready. On November 6, we are expecting a campus population of 150, with WALC students, peer leaders, teachers and staff. Last fall (see post below) we were able to finish two dorm rooms in this new building just before the WALC session started. This year we plan to have the kitchen fully functional, more dorm rooms ready and the large dinning all in full operation. 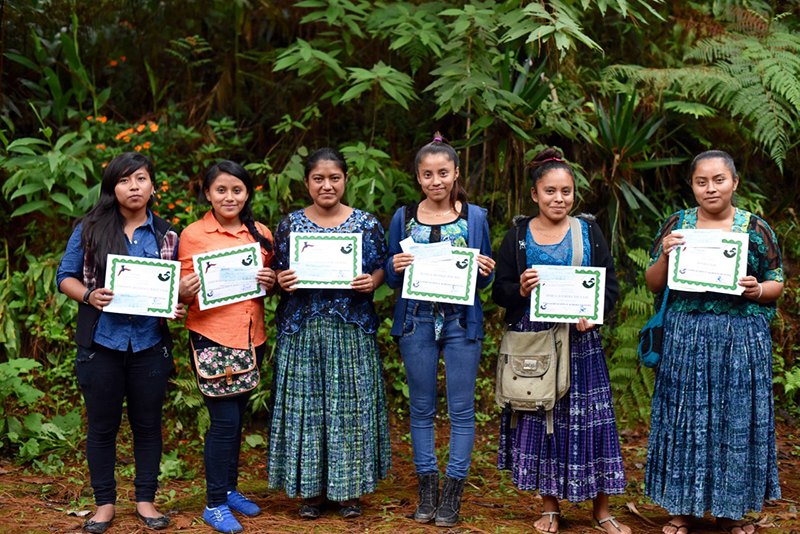 Students who took part in WALC last fall (October and November 2016) received their academic scholarships at Las Victorias National Park, Cobán, Alta Verapaz. These students are beating all the odds, staying in school and following their dreams of higher education. All students receiving checks submitted documentation demonstrating their passing grades and their continuing attendance in their schools. Within the demographic of these young women, students have a 75% annual dropout rate after sixth grade. WALC students have a lower than 5% dropout rate. CCFC is proud of these of these young and their resolve to prepare themselves through education. Many parents accompanied their daughters to this celebratory event. 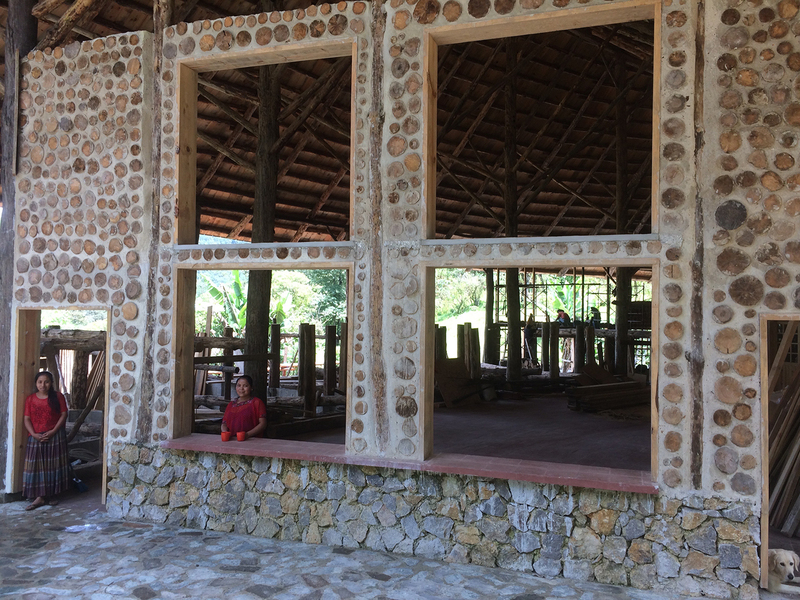 Thanks to you we were able to use the section of the new building that we were hoping to use on October 24. 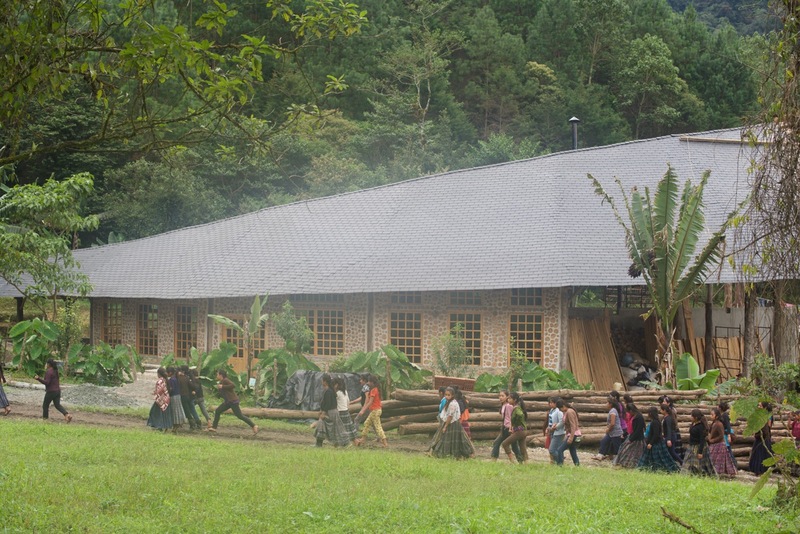 Thanks to your financial support and a big push from our workers we were able to house 40 students in the new building during the first week of session one. Time flies when you’re having fun. The first fall WALC session started on October 24. 89 young women participants and peer leaders made CCFC’s ecology center their home for the following 25 consecutive days. It went off without a hitch. The schedule was intense but enjoyed by all. The first session came to an end on November 17. Photo of first fall WALC session participants. The second WALC session started on November 18. This time we received 130 young women participants and peer leaders. CCFC’s buildings are full to the brim but everyone is comfortable and well taken care of. During the second fall WALC session, CCFC is housing and feeding a total campus population of 145 people. This includes one resident researcher, seven interns (two from the US and five local) and other staff. Workers are going full steam ahead to get the tail of the new building ready for the first WALC session which begins on October 24. Our goal is to have this space ready for dormitory use. 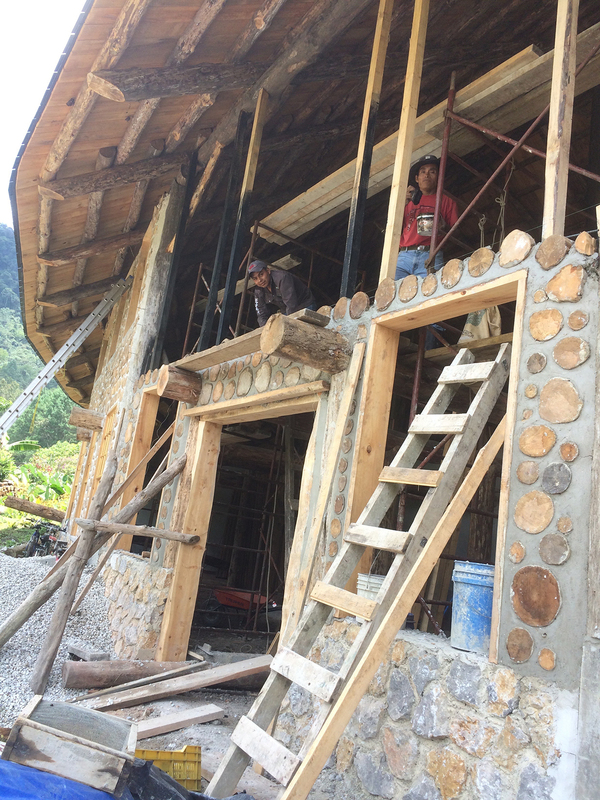 We still need to install a few windows and two doors but so far the project is on schedule. Finished patio space at the tip of the tail. 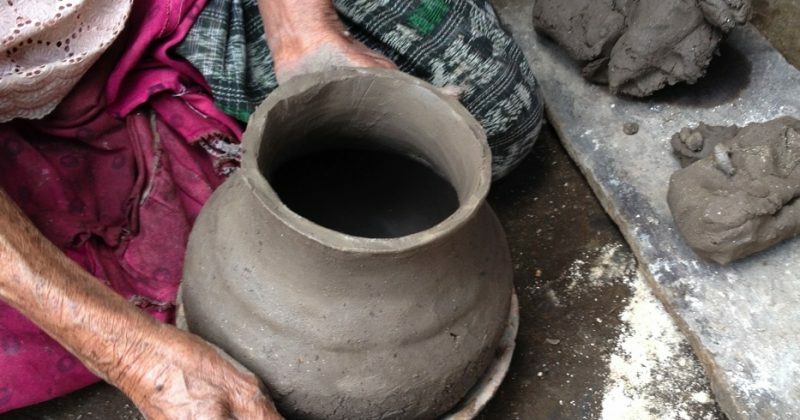 Guatemalan pottery, is as much a visual art form as it is an olfactory experience. The best tortillas are of black corn prepared over a clay kil, and served alongside a sek of spicy and smoky lol beans. The earthy taste from the bean pot and griddle are not easily replicated elsewhere. Whether the drink is kakaw, café, atol, o boj a fuller aroma is distinctive of being prepared in a kukb’. Worship and prayer carry the smell of incense and candle-smoke from mountain caves to the catedrál de Cobán. Even the rain fallen on the terra-cotta tiles of the townhouses or haciendas holds heartwarming memories. In preparation for this project, I am seeking out these scent trails; gathering as many clues and tips on how to best guide the project when I get on the ground. Experiments in my own studio work, sketching maps of regional pottery styles, and researching deeper into the historical context I will be working in. Along the way I have encountered many brilliant minds, artists, professors and preachers. I look forward to working more closely with these people and with many others who I’ve not met yet. Stay tuned as the journey begins. As our WALC scholars continue their schooling through the 2016 school year, we watch in silent admiration. 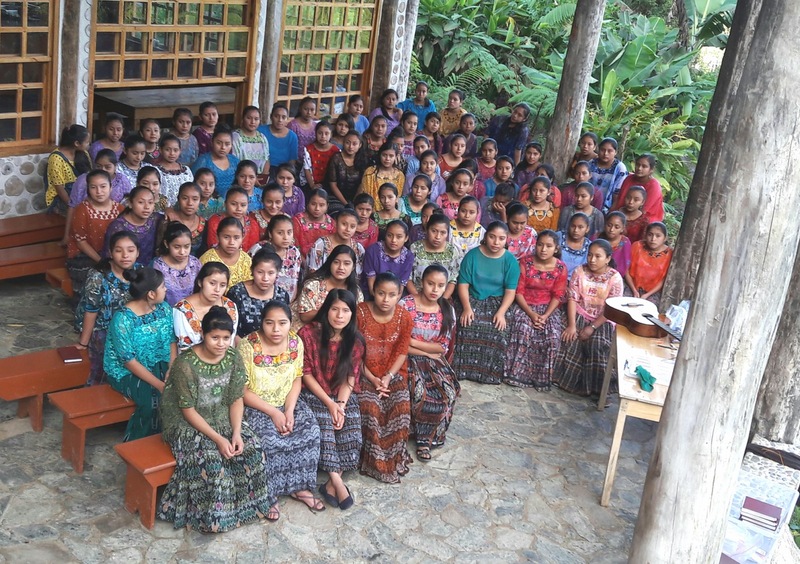 These 7th-12th grade students earned their tuition by participating in a 25-day leadership training workshop and service-learning workshop during their summer vacation (fall vacation in the Guatemalan school year). In the 2015 — 2016 WALC cycle CCFC is awarding 229 scholarships. In 2016 we have at least six WALC alumnae studying at university. These young women are really beating the odds. The final scholarship distribution / WALC follow up visit took place in July of 2016. We were impressed by the number of WALC participants that took us to their gardens and fields to show us what they received and planted. Students have grown and multiplied the seeds, starts, plants and crops that they received through WALC. Truly gratifying. 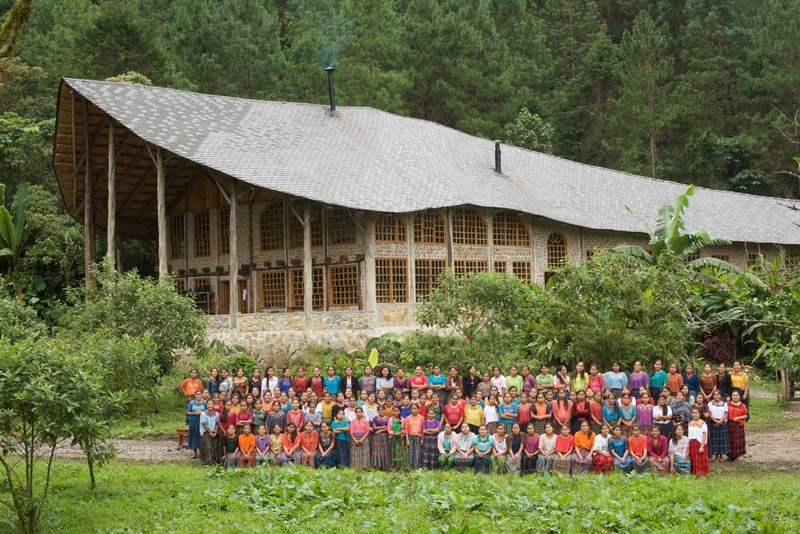 Cecelia Humbler Teyul left her first 25 day WALC workshop with seeds, plant starts and a lot of inspiration. On the day that she received her final scholarship distribution, she gave CCFC a tour of her gardens. Here’s Cecelia proud of her Naranjilla bushes that she planted from the seeds she took home with her. Cecelia shows off her kitchen garden with heirloom beans. Cecelia — an abundant squash harvest coming on. Q’eqchi’ Maya heirloom squash is high in vitamin A and keeps well in storage for weeks. 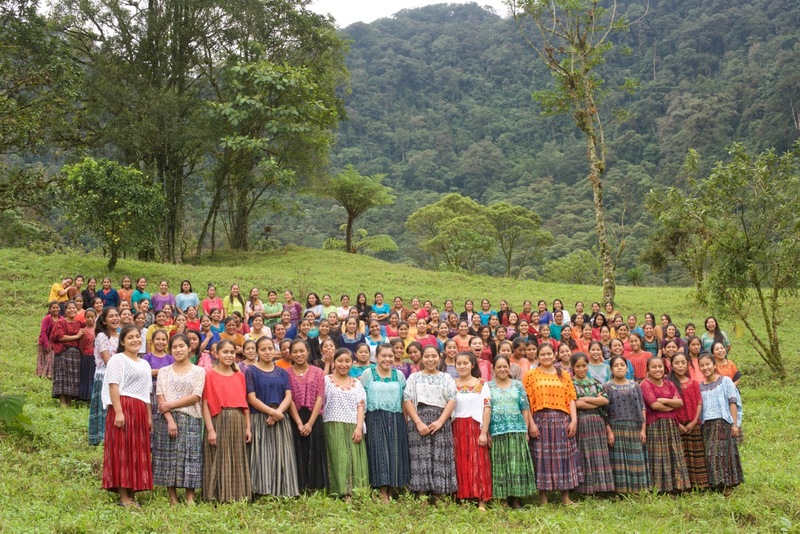 One nutritional deficiency of the Q’eqchi’ diet is a lack of of vitamin A. By promoting and propagating heirloom crops such as this squash, CCFC is addressing an nutrition problem and contributing to regional food security. 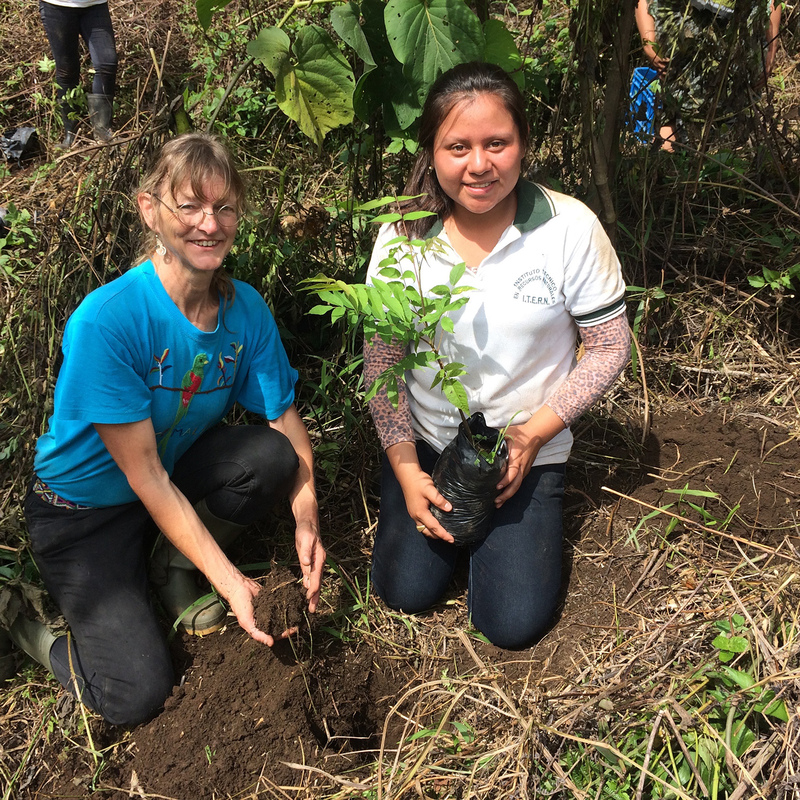 Maralena Ical Chub and her sister Ana Floridalma Ical Chub plant taro, naranjilla, aracach, onions and papaya together in her agro-forestry parcel. Maralena took home naranjilla seeds and taro and aracach starts. Visiting her parcel, Maralena was more than happy to show us the results of this investment. Maria Rax receives her scholarship. Maria went back to 7th grade after having sat out for two years. 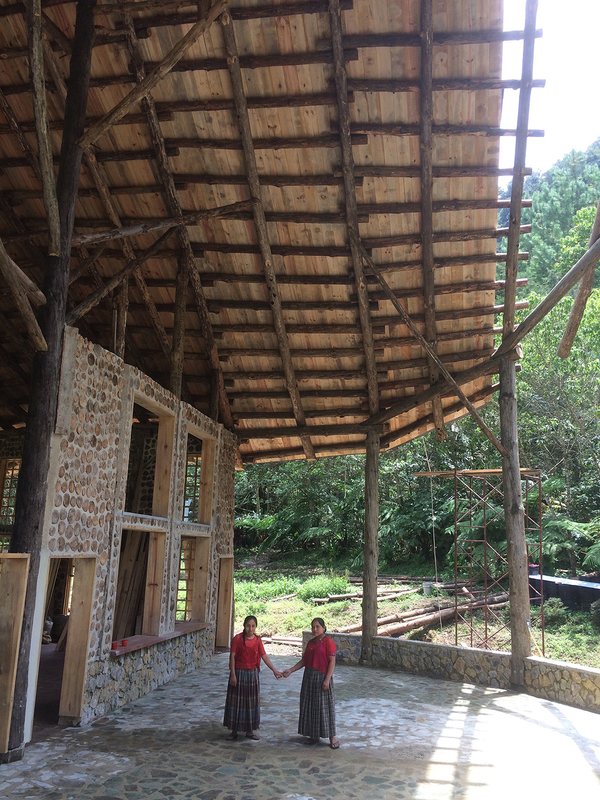 She is proud to be back in school and grateful for the opportunity to study. Maria earned her scholarship by participating in WALC’s 25 day workshop. WALC students gather in regional groups for follow up and to receive their certificates of participation. As an addition to our tool chest in Artful Eyes, CCFC is pleased to announce that before October 25th, we will be printing a coloring book of migratory birds. 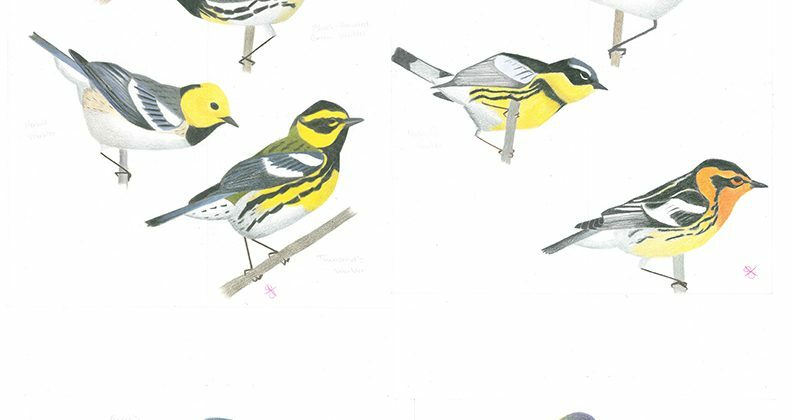 CCFC’s artist in residence, Savannah Aldrich, has been hard at work preparing a nine page coloring book of wood warblers. The species selected in this coloring book are all species that either winter in Guatemala’s central highlands or spend a significant time here in fall or spring as a migration stop over. This beautiful coloring book will be both didactic and fun. Students will learn a lot about warblers and their plumage and they will get a chance to produce something beautiful. 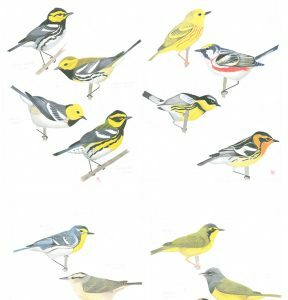 The book will serve both as a coloring book for kids and as a template for CCFC’s WALC participants to do embroidery of the representations of these beautiful birds. CCFC thanks Artist in Residence, Savannah Aldrich, for her amazing work. Her gifts and talents in art will be multiplied by the number of schools, students, WALC participants and others that will use her coloring book.